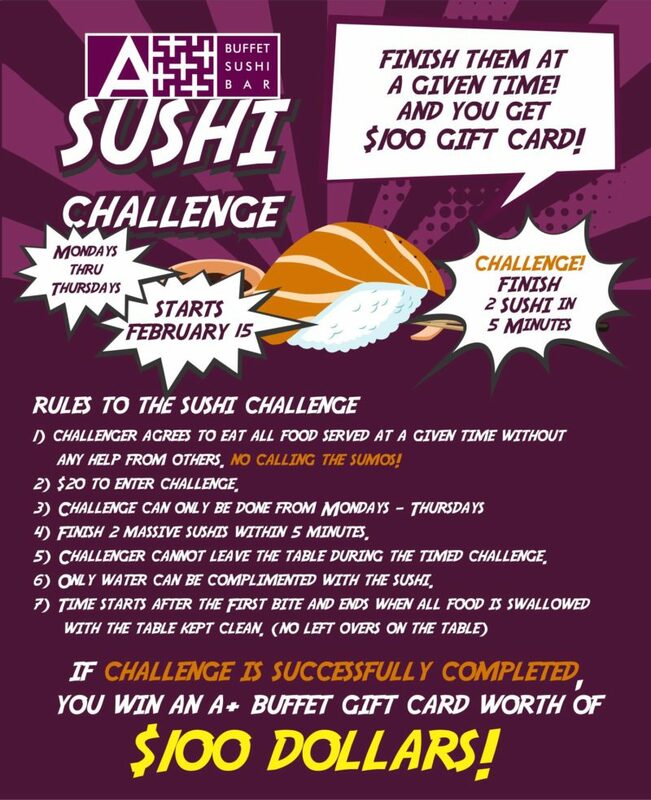 Finish 2 jumbo size sushi in 5 minutes and you get to win $100 Gift Card!! Challenge can only be done from Mondays thru Thursdays! To know more about this challenge, go to our Facebook page or click our link below to get full challenge details and rules. 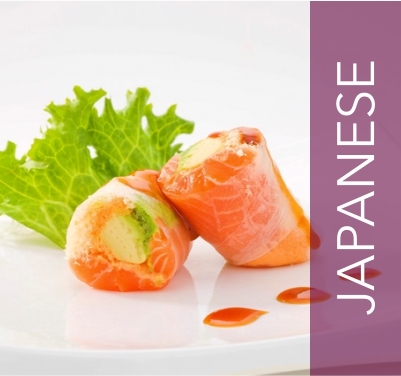 We also have a video below on our making of the jumbo size sushi. Check it out! 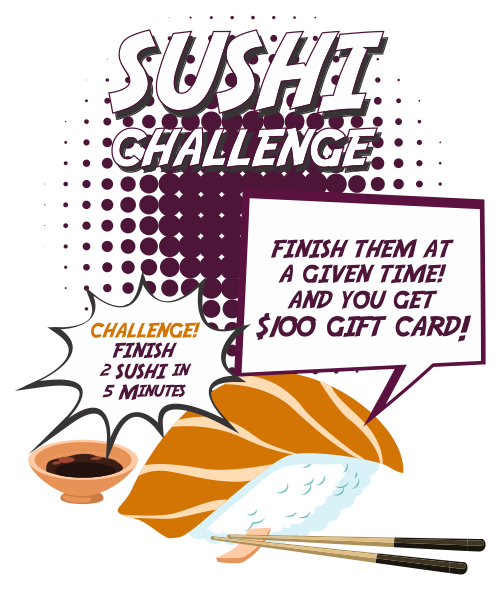 We have a challenge for you! We give you 2 jumbo size sushi. Finish them in 5 minutes and we give you $100 Gift Card. Every contestant can only win once! You can only take the challenge from Mondays thru Thursdays! 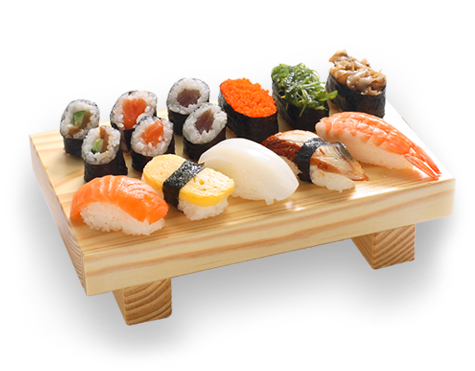 Check out our video on the right hand side and see for yourself how jumbo are the sushi! Size of a can of pop! Good luck and wish you luck! Stamp Cards are now available! with us 10 times at either during lunch or dinner.  Ask our server for one free STAMP CARD! *Only limited to one per customer. Limited to one stamp per person per card per visit. **A+ Buffet Sushi Bar remains the right to terminate without notice. ** Stamps are not transferrable. Buy a gift certificate for your family / friends who loves dining in at A+! Definitely would become one of the best gift ever! AYCE food!  Ask our server for details! * Gift certicates are used toward purchases of food and drinks. Must redeem at full amount . Our sushi are now serving as an Open bar. 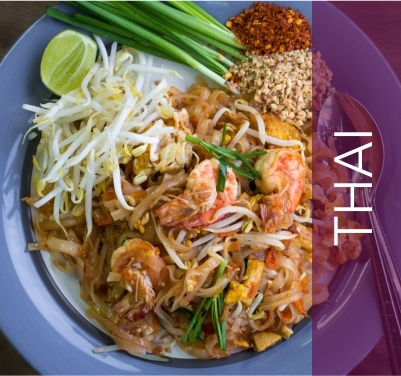 Serve yourself and dig in as many as you want without having to wait for an order! You are now eligible of getting one free meal after dining with us 10 times at either during lunch or dinner. *Only limited to one per customer. Limited to one stamp per person per card per visit. 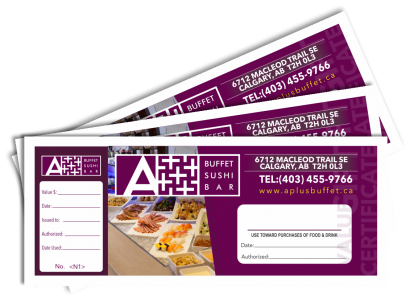 **A+ Buffet Sushi Bar remains the right to terminate without notice. ** Stamps are not transferrable. Buy a gift certificate for your family / friends who loves dining in at A+! Definitely would become one of the best gift ever! AYCE food! * Gift certicates are used toward purchases of food and drinks. Must redeem at full amount . 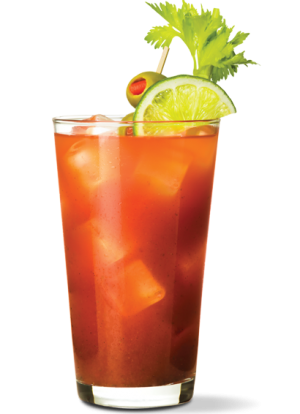 Get two glass of Blood Caesars for $7.00. Get a chance to win a clamato glass as well! 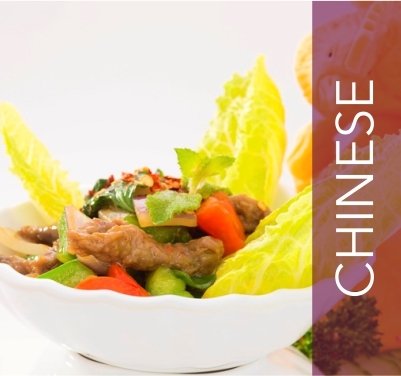 A+ Buffet, Sushi & Bar offers a variety of authentic Asian cuisine with the serve of your hands. You take your time to decide what to eat and most importantly the amount you eat for every dish. We also offer a large variety of freshly imported seafood. Last but not least, desserts! 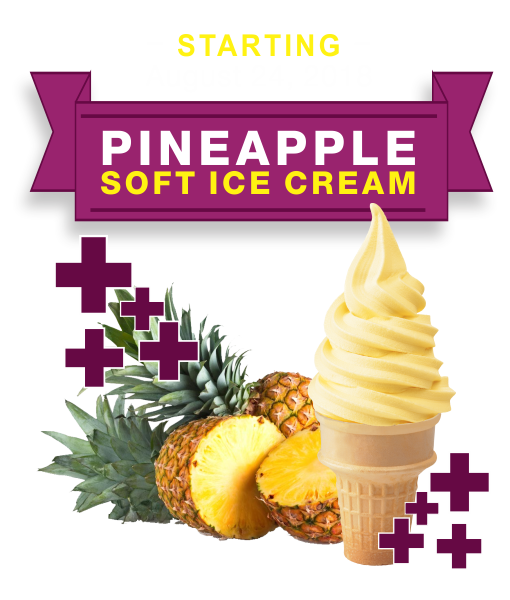 We offer a wide variety of desserts to choose from! All of our seafood are imported freshly every week! Depending on the season, seafood may vary! Click on which category you would fall into. 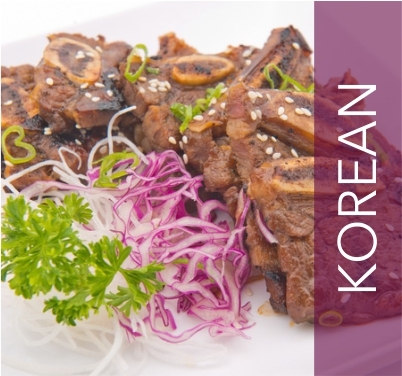 Menu would expand according to your choice with prices depending whether you are interested at dining during Lunch, Dinner, Weekdays or Weekends. 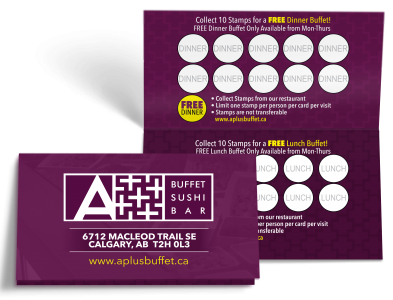 A+ Buffet Sushi & Bar Reserves the right to terminate any offer at any time. Gift cards has no monetary value. Promotions cannot be combined with any other promotions/discounts. Promotions are not valid on holidays, Mother’s Day, Father’s Day, Valentine’s Day, Christmas Eve and New Year’s Eve unless stated.